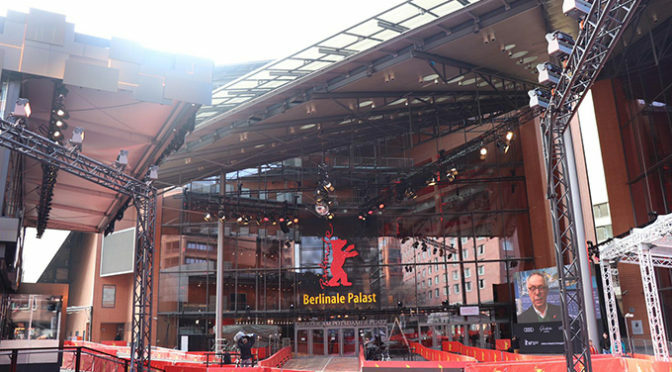 To commence the start of the 69th Berlinale, we headed to the International Jury Press Conference to discuss this year’s selection of films, contextualisation about the festival and what to expect in the coming week. Dieter Kosslick enters his final year as director of Berlinale, bringing with him this year’s theme: The Private is Political, which is extracted from the 1968’s women’s movement; a fitting tribute in the ode of the Time’s Up movement. As Berlinale is known for premiering many avant-garde, indie and politically/socially charged pieces, this year should prove to be no exception. The conference commenced with Juliette speaking about the fact that over 40% of the films in the competition this year were made by female filmmakers. “I think it’s a good step forward […] ten years ago it was not like this, so now it seems we are opening our hearts, minds and eventually our bodies – but I think it’s a good sign”. Rajendra went on to discuss the importance of his shirt that he donned with a blazer, proudly noting that it was created by a friend in Brooklyn in the wake of the movement. “She decided to start a line of items such as t-shirts and buttons, the proceeds go to young women filmmakers to help with their short films […] As it says here, the future of film is female”. “This is my first time back at Berlinale in seven years, and as a critic in the US when there is such a ameri-centric view of cinema, what I love about coming to international festivals is opening up that mind-set. […] The personal being political, and all cinema is political. I’m very happy to be here. I’m especially looking forward to criticism and its about having a conversation. I look forward to having these conversations with new friends and colleagues”. “It’s impossible to think about contemporary cinema without German cinema. I’m not even speaking about the popular cinema being produced in Berlin and across Germany at the moment. […] It’s great to have thriving cinema in Germany again, when you look back at the years of Weimar cinema in particular”. “We are in a lucky position to choose what we want to do, and I’m aware of the responsibility that comes along with it”. “It does franchise the independent films; we can bring that into question. […] Netflix is a new way of producing, it’s exciting as it’s something new”. “The death of cinema has been declared many, many times. Film is not just 35mm, it is not digital; it is a language. If it keeps being spoken about and being expanded, then it will be alive. I tend to be more integrated than apocalyptical about it. Real cultural relevance and potential of a film, however, can it happen without theatre and theatrical experience? […] I don’t think film will die, but instead the collective experience”. “I almost want to say peace to his mind and heart, that’s all. […] I’m trying to put my feet in his shoes. He’s had enough, I think. A lot of people have expressed themselves. Now justice has to do its work”.